According to a US Senate report, the CIA carried out “brutal” interrogations of al-Qaeda suspects in the years after the 9/11 attacks. The summary of the report, compiled by Democrats on the Senate Intelligence Committee, said that the CIA misled Americans about what it was doing. The information the CIA collected this way failed to secure information that foiled any threats, the report said. In a statement, the CIA insisted that the interrogations did help save lives. “The intelligence gained from the program was critical to our understanding of al-Qaeda and continues to inform our counterterrorism efforts to this day,” Director John Brennan said in a statement. However, the CIA said it acknowledged that there were mistakes in the program, especially early on when it was unprepared for the scale of the operation to detain and interrogate prisoners. 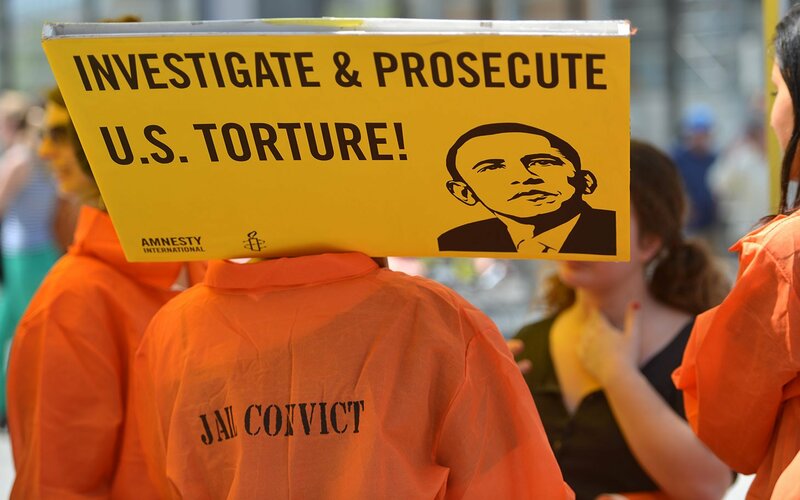 The program – known internally as the Rendition, Detention and Interrogation program – took place from 2002 to 2007, during the presidency of George W. Bush. Suspects were interrogated using methods such as waterboarding, slapping, humiliation, exposure to cold and sleep deprivation. Introducing the report to the Senate, Intelligence Committee Chairwoman Dianne Feinstein described the CIA’s actions as a stain on US history. “The release of this 500-page summary cannot remove that stain, but it can and does say to our people and the world that America is big enough to admit when it’s wrong and confident enough to learn from its mistakes,” Dianne Feinstein said. “Under any common meaning of the term, CIA detainees were tortured,” she added. Earlier, President Barack Obama responded to the report, saying the methods used were inconsistent with US values. “These techniques did significant damage to America’s standing in the world and made it harder to pursue our interests with allies and partners,” he said in a statement. Reacting to the release of the report summary, the Senate Republican leaders insisted that the methods used helped in the capture of important suspects and the killing of Osama bin Laden. “Claims included in this report that assert the contrary are simply wrong,” Senators Mitch McConnell and Saxby Chambliss said in a joint statement. The Senate committee’s report runs to more than 6,000 pages, drawing on huge quantities of evidence, but it remains classified and only a 480-page summary has been released. Barack Obama halted the CIA interrogation program when he took office in 2009. Earlier this year, the president said that in his view the methods used to question al-Qaeda prisoners amounted to torture. Publication of the report had been delayed amid disagreements in Washington over what should be made public.